A lawn is a beautiful and crucial asset to any Maryland business. In the spring and summer months there’s little more inviting to a potential customer than a verdant and lush landscape, replete with outcroppings of trees and other greenery. It lets your customers know you put time and care into every aspect of your business. However it’s just as important to keep up that care during the colder months, if you want that same effect next spring. Fortunately, the commercial landscaping experts at the Atlantic Maintenance Group are here with a few tips on how to winterize your lawn. 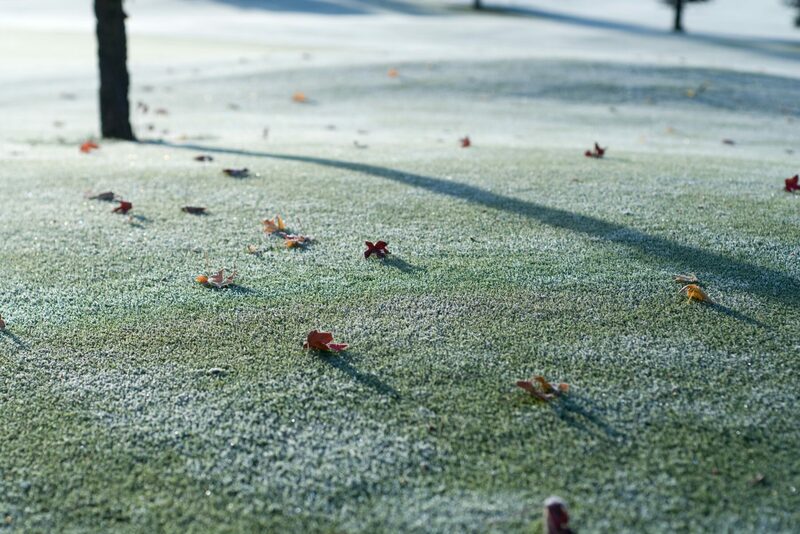 Fall fertilization is a crucial step if you want to winterize your lawn. During the summer months all your plants will have sucked the ground dry of nutrients, in order to produce their beautiful blooms and leaves, leaving your lawn empty of vital resources. Fertilizing in the fall will help the roots survive freezing in the winter, and wake up quickly in spring. Those living in moister climates will want to trim their lawn before the first snowfall. While many property owners cut back on mowing, it can actually be better for your lawn if you cut every week, until the grass is about ¾ in high. This will prevent buildup of dead grass that can kill growth in spring. If you live in a drier climate (Meaning you get less than 20in of rainfall a year), the best thing to do to winterize your lawn is to stop mowing when the grass stops growing. A layer of dead grass in this type of climate can actually help your soil retain moisture through the winter. While these basic steps are a good start towards protecting your lawn over the winter months, your landscape has a lot better chance of surviving the winter with the help of a professional commercial landscaping company. To protect your Maryland business’s lawn, consider calling a company with a proven track record of excellence who has all the insider information you need to have your lawn protected through the cold months, and flourishing in the warm ones. This entry was posted on Thursday, September 25th, 2014	at 3:42 pm	and is filed under Lawn Maintenance Service, Lawn Tips	. You can follow any responses to this entry through the RSS 2.0	feed. Both comments and pings are currently closed.